Honoring the Sabbath day, known as Shabbat in Hebrew, is considered the most important observance in Judaism. The order to celebrate Shabbat originates in the ten commandments handed down to Moses by God on Mount Sinai. The fourth commandment (Exodus 20: 8-11; Deuteronomy 5: 14-15), translated from Hebrew, reads “Remember [observe] the Sabbath day and keep it holy”. For Jewish people, the celebration of Shabbat honors God for creating the world in six days and resting on the seventh day. Jews around the World celebrate the day of rest and relaxation in many ways, each according to how they interpret their religion. Shabbat commences at sunset on Friday evening and ends on Saturday at Sunrise. The duration of Shabbat should be around 25 hours, and according to the Torah, Motzeh – the end of Shabbat – begins when there are three stars in the sky. On Friday night, when the Sabbath begins, the Kiddush ceremony is carried out before sitting down to the Sabbath meal. 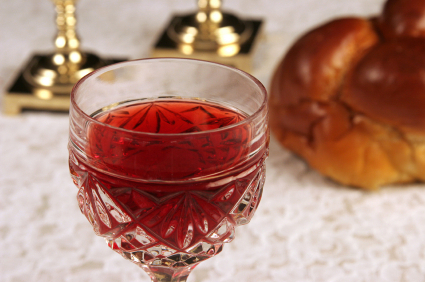 Kiddush, literally meaning “sanctification”, is a blessing recited over wine or grape juice to sanctify the Shabbat or a Jewish holiday. The Torah refers to two requirements concerning Shabbat – to “keep it” and to “remember it” (shamor and zakhor). Jewish law therefore requires that Shabbat be observed in two respects. One must “keep it” by refraining from thirty-nine forbidden activities, and one must “remember it” by making special arrangements for the day, and specifically through the Kiddush ceremony. Reciting Kiddush before the meal on the eve of Shabbat and Jewish holidays is thus regarded as a commandment from the Torah (as it is explained by the Oral Torah). Reciting Kiddush before the morning meal on Shabbat and holidays, however, is a requirement of rabbinic origin. 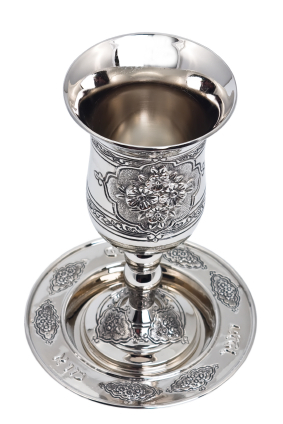 Kiddush is not usually recited at the third meal on Shabbat, although Maimonides was of the opinion that wine should be drunk at this meal as well. The term Kiddush is also used to refer to a ceremonial meal served at a synagogue following the recitation of Kiddush at the conclusion of services, in which refreshments are served. Traditionally, this often includes cake, crackers, and fish. Havdalah is a Jewish ceremony that is performed to mark the end of Shabbat, and many other festivals that are part of the Jewish calendar. It is best described as marking the transition from the ‘holy’ back to the ordinary. Whilst being a short and simple ceremony, is one that has great significance in the Jewish religion. Havdalah when literally translated from Hebrew to English means “to differentiate”. Why Do Jews Wear Kippahs?